Even though it's winter, shoppers can still have their pick of fresh organic produce, meat, poultry, eggs and more at the Old Winery Winter Farmers Market in Farmington each Saturday. Now in its third year, it's something shopper Mary Newlin of Farmington said she wouldn't miss. “I can't imagine a Saturday when we don't come to the market,” said Newlin, who was at the market Saturday with her daughter, Grace. Margaret Crane of Farmington also shops there regularly, saying it's not just for items such as the squash and honey she was buying. “It's the people, it's the whole atmosphere,” she said. 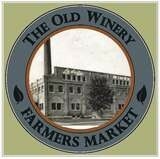 The market runs from 9 a.m. to 2 p.m. each Saturday throughout the winter months at the historic winery on Grand River and Orchard Lake. The market sprang from the popularity of the Farmington Farmers & Artisans Market, offered May through November, although the two are not affiliated. Market master is Jean Smith, for whom the market provides the opportunity to sell the products of her small, family-run Garden Gate Farms throughout the winter. The market has grown from 17-18 vendors the first year to more than 30 vendors, thanks to a change in location last year to the larger Old Winery building. Last year, the Old Winery Farmers Market drew 800 to 1,000 people on average each week, Smith said. “We have our loyal people that will come here rain or sleet or snow,” she said. Visitors can enjoy hot coffee and cappuccino from Great Lakes Coffee Roasting Co. or juice from The Main Squeeze. Taylor's Bake Shoppe has breakfast and lunch items ready to go. Entertainment and activities are offered, too. Every second week is a cooking demonstration; every fourth Saturday is a children's activity day and face painting. On Saturday, executive Chef Randy Hall from Destiny Catering demonstrated kapusta, a traditional cabbage dish. “When I do a food demo, I always try to utilize products from the market,” Hall said. His recipe featured Garden Gate Farms-grown cabbage, spices from James Creek Sutlery and Willow Ridge Farm Market egg noodles. Vendors enjoy the market, too. John Mulholland of Grassfields Farm said he enjoys talking to people and telling about the benefits of eating the organic raw milk cheese sold by the Dutch farm, which has been in the same family since 1882. 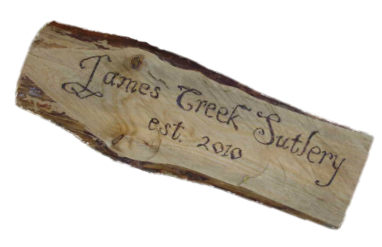 Jerry Neikirk of Farmington makes wood turning items through his company Jerry's Nature Design. Stylus pens for iPhones and iPads are the best sellers, he said. James Creek Sutlery owners Michele and Stu Eddy sell spices in antique style apothecary bottles. squash and honey she was buying. it's the whole atmosphere,” she said.